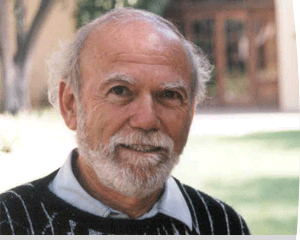 Barry Barish, a leading expert on gravitational waves, will give the second series of Green Family Lectures this year on January 28 and 30, 2019. At Caltech, Barish was the principal investigator, then director of the Laser Interferometer Gravitational-wave Observatory (LIGO). He created the LIGO Scientific Collaboration (LSC), which now enables more than 1000 collaborators world-wide to participate in LIGO. In 2017, Barish was awarded the Nobel Prize in Physics along with Rainer Weiss and Kip Thorne for their contributions to the LIGO detector and the observation of gravitational waves. More information about his lectures is available online. The lectures are open to the public; no RSVP is required. Barish’s visit and lectures coincide with the IPAM workshop Computational Challenges in Gravitational Wave Astronomy.